I wish I was an inventor. I have a long list of helpful objects I’d love to see invented. The top two would be a bra containing a tiny hydraulic lift, and the second would be a device that could transcribe my thoughts directly into a computer. The first invention would give me happy, perky bosoms once again, and the second would write my books for me. How cool would that be! Since neither invention is available, or if they are, I probably couldn’t afford them, I’m forced to continue to fight gravity and continue working at telling my stories. I find the different writing processes authors use fascinating. Some labor long over each sentence until it’s perfect; some make extensive, detailed outlines before writing the first word of a novel; some write wondrous, specific back stories for characters; and some only write first drafts because they have already said what they want to say, and they don’t believe in editing. I’m sorry, but I tend to raise my eyebrows at that last one. Me? I don’t employ any of the above methods. That’s not to say I don’t admire those who do. On the contrary, I hold them in high esteem. But as for me, in the beginning, I write rubbish, plain and simple. Because I don’t outline my stories, my method is often called ‘seat of the pants’ writing. That does not mean I have no idea of what I want to say. A generalized way to get my main characters in trouble (plot) has formed in my mind. I know where I want to begin, and I always know the ending. It’s the middle that can stump me and at times give me writer’s block, and yet, I love writing in this manner. I find myself meandering down a path, following the characters’ whims and follies, and often surprised at where I’m led. It’s almost as much fun as reading a book, if it wasn’t so much work. After writing six to eight chapters, I usually create a simple timeline to keep me on track. That’s my version of outlining and writing back stories. I confess, there are drawbacks to my method. Without an outline, I sometimes find getting started difficult. That blank page is terribly white, terribly long, and terribly empty. The only solution is to just begin telling the story. That’s why I say I write rubbish. I don’t nitpick over which word to use or whether my sentences are written in a ‘writerly’ fashion. I save that for the rewrites. In the first draft, my goal is to get the story told even if it’s written in sentences that no one will ever see but me. If I didn’t, I’d never get the story out of my head and down on paper. I’d still be searching for that perfect first word. I love to rewrite. I’ve given up counting the number of rewrites I’ve done on each of my books, and this is long before an editor has her say. I’m sure I rewrite the beginning more than any other part of the novel. Beginnings are crucial. They either grab the reader’s attention or cause the book to be left on the shelf. I’m grateful that Meryton Press gives me a deadline when I sign a contract; otherwise, I’d never finish rewriting. Stein on Writing is my favorite reference book on the subject. Sol Stein is also the author of How to Grow a Novel, among many others. His books taught me to write in scenes, not to be afraid of writing in first person, and the importance of a lively beginning. Since Stein knows far more than I do, I’d like to share his Ten Commandments for Writers with you. Take what you like, and forget the rest. Thou shalt not sprinkle characters into a preconceived plot lest thou produce hackwork. (Particularly difficult for those of us using Austen’s characters) In the beginning was the character, then the word, and from the character’s words is brought forth action. Thou shalt imbue thy heroes with faults and thy villains with charm. Thy characters shall bear false witness, covet, steal, etc., for readers crave such actions and yawn when thy characters are meek, innocent, forgiving, and peaceable. Thou shalt not saw the air with abstractions, for readers are attracted by particularity. Thou shalt not mutter, whisper, blurt, bellow, etc., for it is the words and not the characterization of the words that must carry their own decibels. Thou shalt infect thy reader with anxiety, stress, and tension, for those conditions that he deplores in life he relishes in fiction. Thou shalt have no rest on the sabbath, for thy characters shall live in thy mind and memory now and forever. Thou shalt not forget that dialogue is as a foreign tongue, a language in which directness diminishes and obliqueness sings. Above all, thou shalt not vent thy emotions onto the reader, for thy duty is to evoke the reader’s emotions, and in that most of all lies the art of the writer. 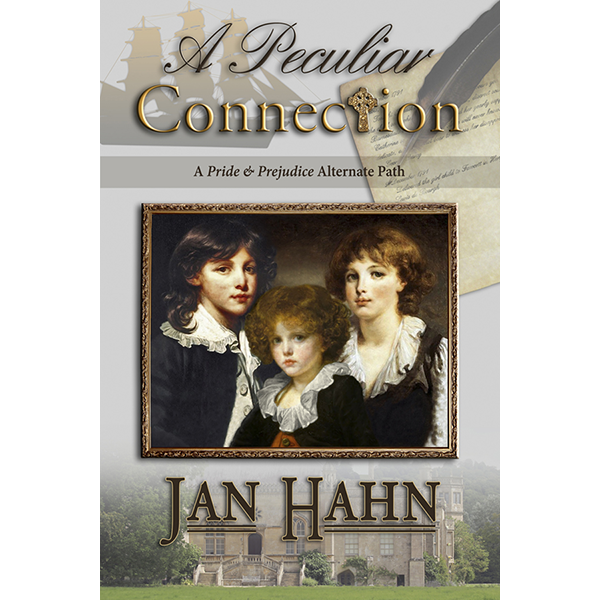 Jan Hahn is fascinated by Jane Austen, 19th Century England, and true love. A storyteller since childhood, she's written skits and plays for local organizations and owned a business recording, writing and publishing oral histories. 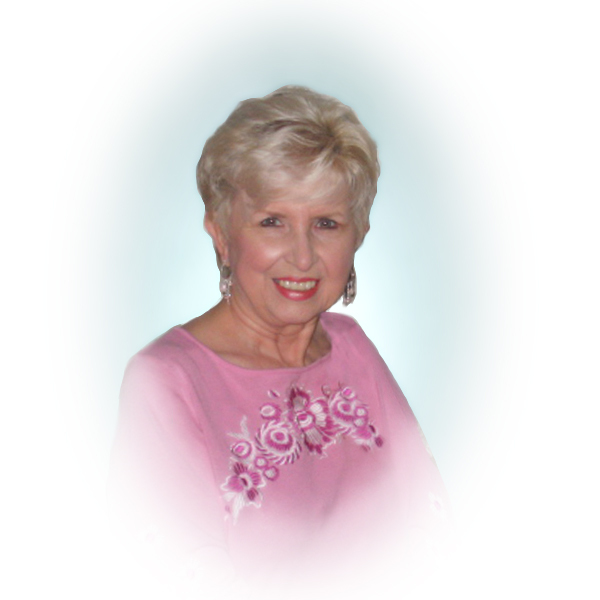 Jan is a member of JASNA and began writing novels based on Jane Austen's Pride and Prejudice in 2002. 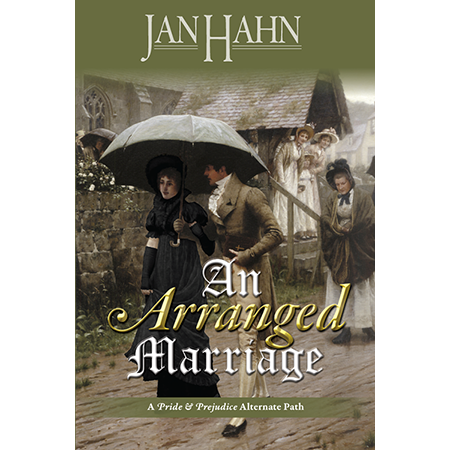 Jan's first novel, An Arranged Marriage, won the award for Best Indie book of 2011 from Austenprose. 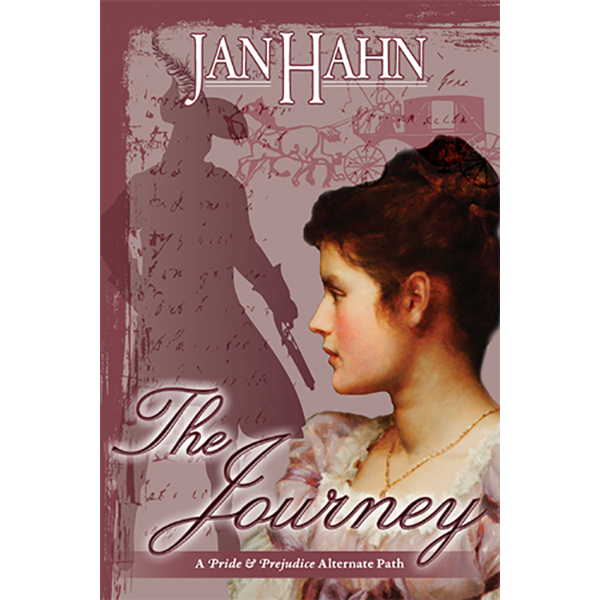 The Journey, published in 2012, was selected by Austenprose as one of the Top Five Austen Inspired Historical Novels of 2012, and it won the Favorite Pride and Prejudice Variation/Alternate Path of 2012 award from Austenesque. 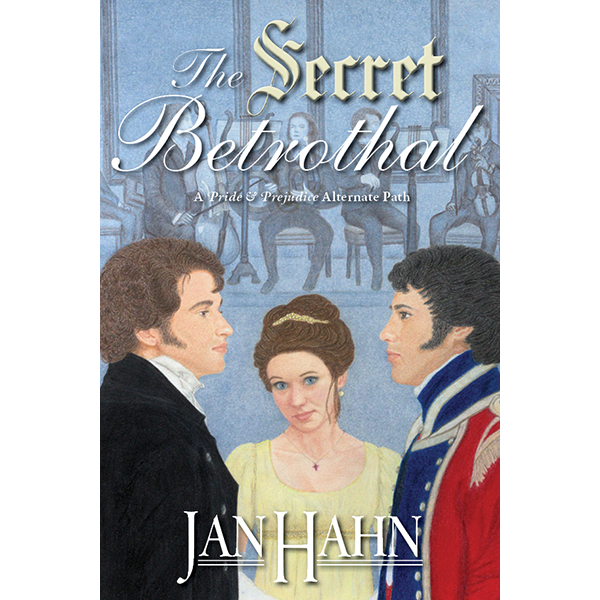 The Secret Betrothal, was published in 2014 and garnered Best Austenesque Historical Novel from Austenprose for the same year. Jan's next book, A Peculiar Connection, comes out in April 2015. Jan, I had to laugh at rule #8: that’s the one where those pesky characters never leave our heads, even when we consciously need to take a rest. I too wish the ideas would magically go into my laptop. I can’t see myself dictating my ideas, yet those perfect words and scenes seem to spin in my head until it’s time to type! I found it interesting to get a peek at your process. Thanks for sharing with us! What a super article. I’m not an author, I am a voracious reader and this insight was fascinating. I own all your books and can’t wait for The Child to come out. Good luck!